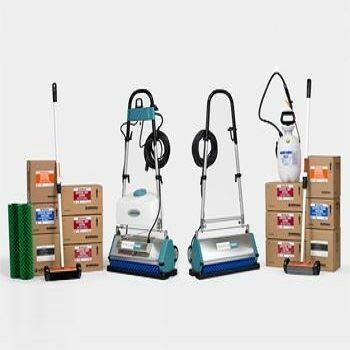 Our family of low moisture encapsulation systems includes a variety of Smart Care® Machines and CRYSTAL® Chemistry to suit your cleaning environment and budget, ranging from the nimble and economical dual brush 10 inch Smart Care® TWIN to the high productivity 25 inch Smart Care® TRIO, with three counter rotating brushes. 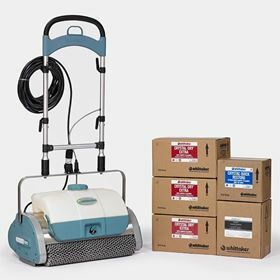 Whittaker’s Smart Care® System offers low moisture carpet cleaning solutions with easy to use machines and effective chemistry. Each system purchase includes the Smart Care® machine of your choice and several cases of CRYSTAL® Chemistry. 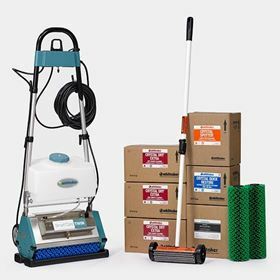 Some systems include brushes, dimpled rollers, spotting tools, or manual sprayers, depending upon the model. 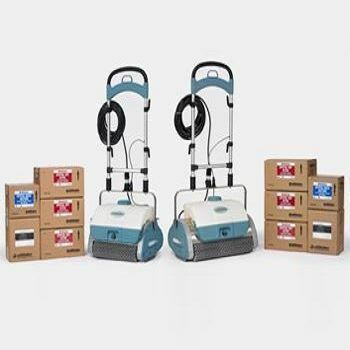 Reduce training time and increase productivity with machines that can be operated by anyone on staff. Ergonomic machine design can reduce worker fatigue, repetitive motion injuries and vibration to the operator. Our encapsulating CRYSTAL® Chemistry keeps carpet looking better, longer, all while conserving water usage. Low moisture carpet cleaning allows for shorter dry times and less disruption, making it ideal for 24 hour operations such as healthcare facilities, casinos, and airports. 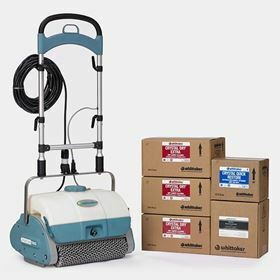 Daytime cleaning is also possible with the quiet operation of Whittaker machines and 20-30 minute dry times on commercial loop pile carpet. 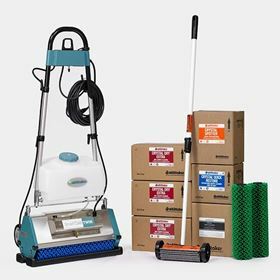 The color-coded polypropylene brushes on the Smart Care® machines act as a pile lifter while they agitate the cleaning solution into carpet fibers, eliminating the need to operate a separate pile lifter machine during wet extractions. 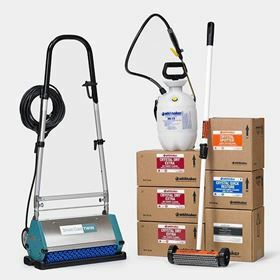 Enjoy improved carpet appearance, increased productivity, greener operations, better cost efficiency, and personalized service and support when you purchase a Whittaker low moisture carpet cleaning system. 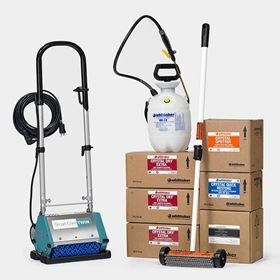 + Learn what makes Whittaker Smart Care® machines stand out from other commercial carpet cleaning equipment.